Backing onto the picturesque South Bank parklands, Mado provides a family-friendly retreat where diners can enjoy authentic Turkish fare. Adorned with opulent, antique Turkish treasures, and with each table swathed in vibrant fabric, the setting is sure to transport you to Istanbul itself. Winner of Best Turkish Restaurant (National Winner 2013), Best Entertainment (Brisbane & Darling Downs 2012), Best Themed Restaurant (2010) and Best Speciality Finalist (2011-2015), Mado offers a delicious assortment of mixed grill and traditional Turkish dishes as well as catering to specific needs by offering gluten-free, vegetarian and vegan options. 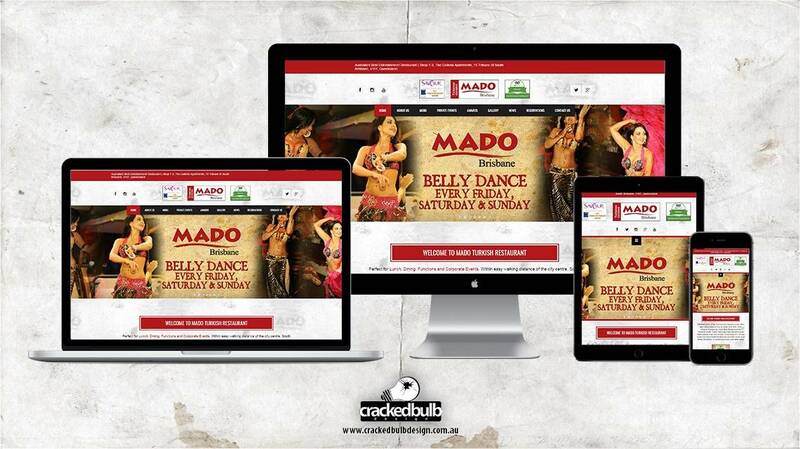 A big thanks to Mado Restaurant for giving Cracked Bulb Design the opportunity to design their Website.